The Central Library of the college has a vast collection of over 21,000 information resources that include technical and general volumes, ready references, encyclopedia, theses, magazines, CD-ROMs and newspapers. These resources are upgraded every year and subscriptions are renewed for technical journals of national and international acclaim. Reading Materials have been shelved very conveniently for ease of reference. Library Staff members are always available to help students and staff alike. 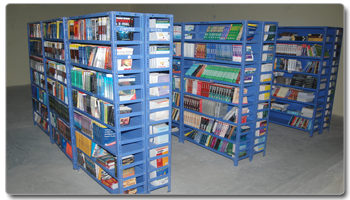 Materials are issued on a fortnightly basis to students and on a semester basis to faculty and staff. Patrons are advised to produce their College Photo-ID for checking out materials. Overdue charges should be enquired at the checkout counter while issuing reading materials. The Library has a big Reading Room for students with a huge collection of reference books and magazines. Daily Newspapers are also readily available for reading. Patrons are advised to produce College Photo-ID before using the Reading Room facilities. In addition to the above, the college subscribes E-Journals from various service providers to cope with the latest trend in the field of Science & Technology and Management Studies. 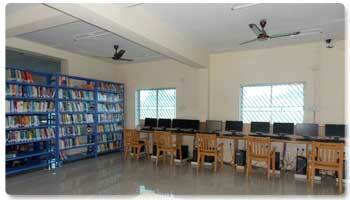 10 numbers of systems with internet facilities are available in the library for the purpose.